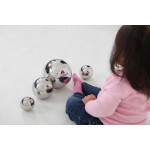 Robustly constructed from hard wearing stainless steel, these beautiful smooth tactile balls provide a stretched version of reality that is distorted like a fish-eye lens giving chlidren a fascinating view of themselves and the world. The balls are lightweight and easy to handle for the youngest children, they can be used indoors or out and provide a focal point for displays. The reflective surfaces provide a colour match with the surroundings which will promote interest and discussion. 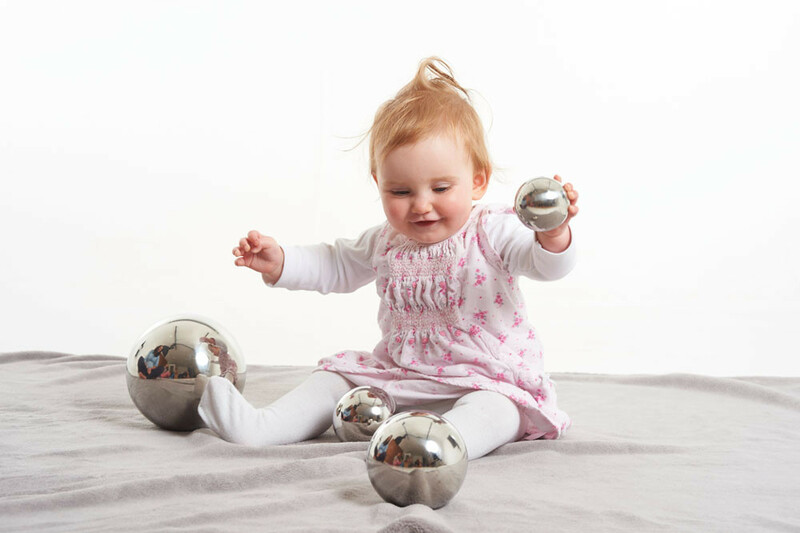 "Suitable from birth, the Silver Sensory Reflective Balls provide a rich array of opportunities for babies and young children to experience multi-sensory play and engage in creative exploratory play and thinking. 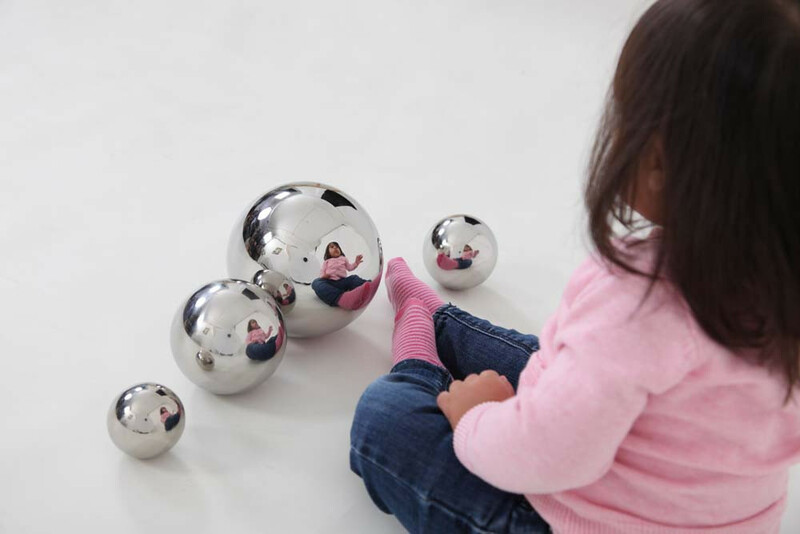 As children roll and move the mirrored spheres, they observe different effects, encouraging them to question and seek explanation for what they see. Made from hard wearing stainless steel, the balls range from 60 to 150mm in diameter and can be used inside and out. Teaching assistant Steph Virgo from Weald Community Primary School in Kent says they first used the balls on a sunny day outside and the children were fascinated by their reflective qualities, which lead to discussion about reflection and properties of light." Size: 60, 80, 100, 150mm diameter. Pk4.